Hands-on, sustainable, dry-farmed and intensely managed for low yields, maximum quality and a transcendental sense of place. Our two estate vineyards orbit each other in a balancing act of contrast and complementary presentation, each reinforcing and amplifying the strengths of the other in classic yin/yang fashion. With our geographic—and geologic, climatic and clonal—separation, we benefit from an expanded blending palate borne upon layers of diversity and thereby achieve the elusive dialectical monism of viticulture and enology. 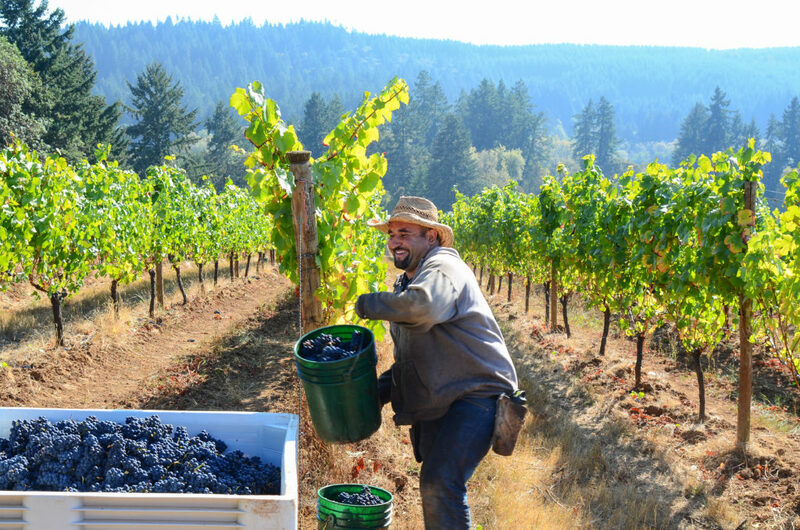 Jeff & Victoria’s Equinox Vineyard lies on a steep, southwest-facing hillside in the Crow Valley due west of Eugene. 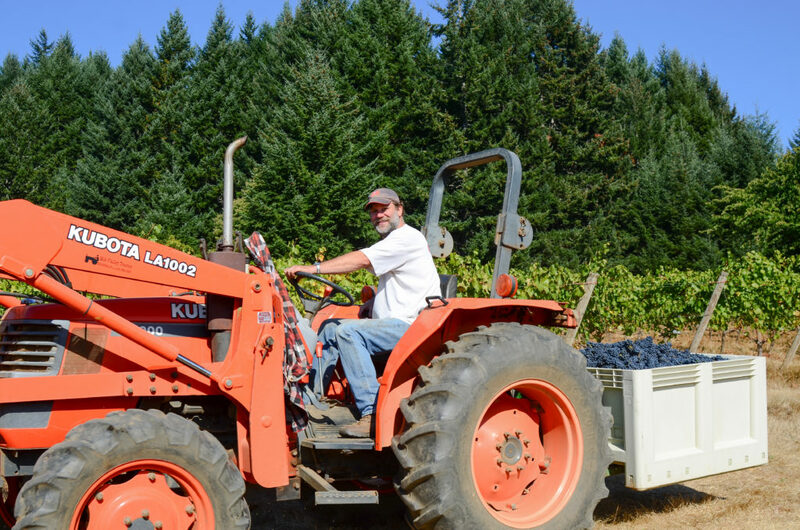 Underlain by deep, red Bellpine soils, this site is high and cool. Grapes take longer to ripen here, often hanging right up until the end of the growing season. 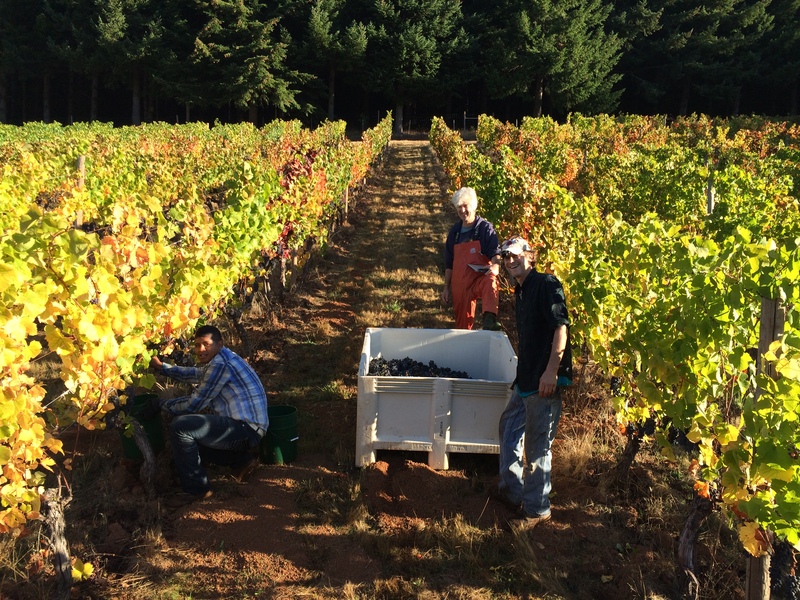 While the threat of winter rains often comes nail-bitingly into play during harvest at Equinox the results can be spectacular. With Pinot Noir, Pinot Gris and Chardonnay this means a wealth of elegance, structure and brightness growing out of more modest sugars combined with a dazzling acid profile. With Riesling this means world class expression in terms of depth, complexity and longevity. 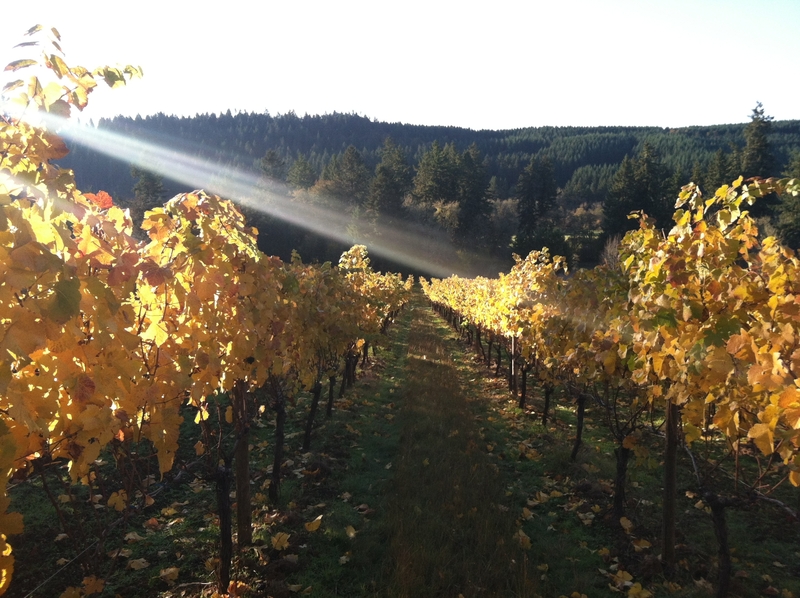 Alan & April’s Bellpine Vineyard, situated some 25 miles north, is lower and warmer. This is where the juiciness, saturation and color comes from. Pinot Noir from this site tends to be at once a little more precocious, a little more muscular and a little more dopey than that of Equinox. Like dopey in a good way. The elegance of Equinox wants to give some structure to the roundness of Bellpine. The mass of Bellpine wants to flesh out the high-frequency of Equinox, and that is exactly what we let these two do: Complement, project and amplify the strengths of the other in a whole that is greater than the sum of its parts.